They are shy and secretive?so much so that you might walk right by one and not even know. Their elusive nature has helped them adapt to sharing their habitat with people. Preferring to stay in their home range, white-tailed deer rarely migrate far from their favorite feeding areas. The antlers of white-tailed bucks branch upward and form a tight 'basket' above their heads. 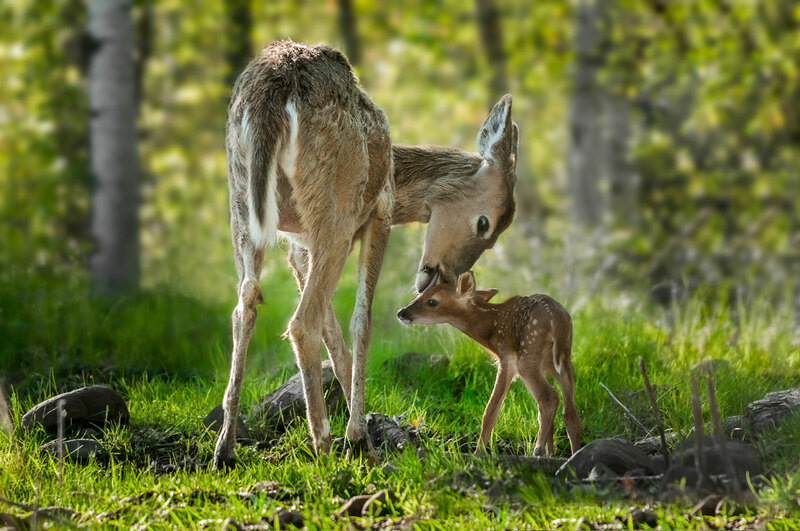 White-tailed deer are found all over Montana, wherever there are creeks or rivers.